I’m still scarred from Red Dog Saloons hot wings challenge, but it didn’t stop me from eating at The Orange Buffalo. 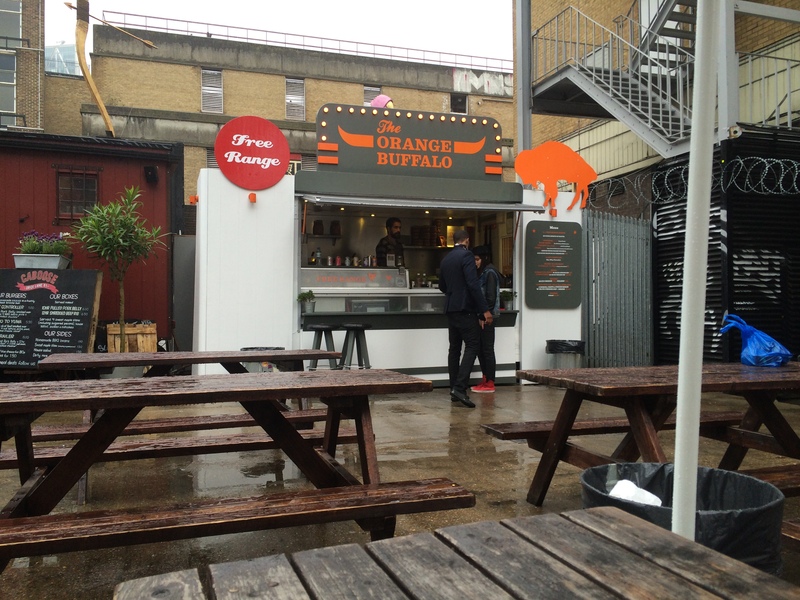 The Orange Buffalo food truck is located at the Truman Brewery car park. Brick Lane is the best place to wonder the streets and find food from all over the world. 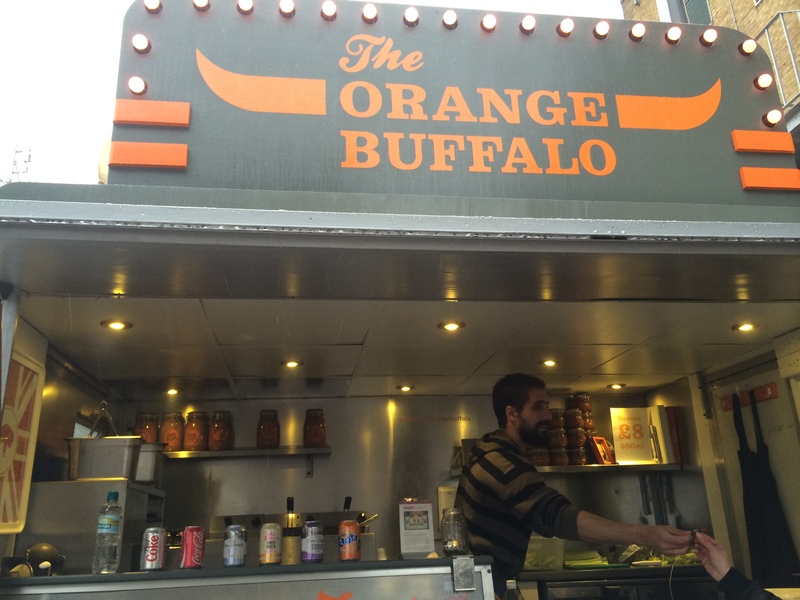 The Orange Buffalo has 4 different flavours to choose from, I advise to sample them all. Since my chilli tolerance has gone low since the Red Dog Saloon incident. Even the original seem spicy to me. 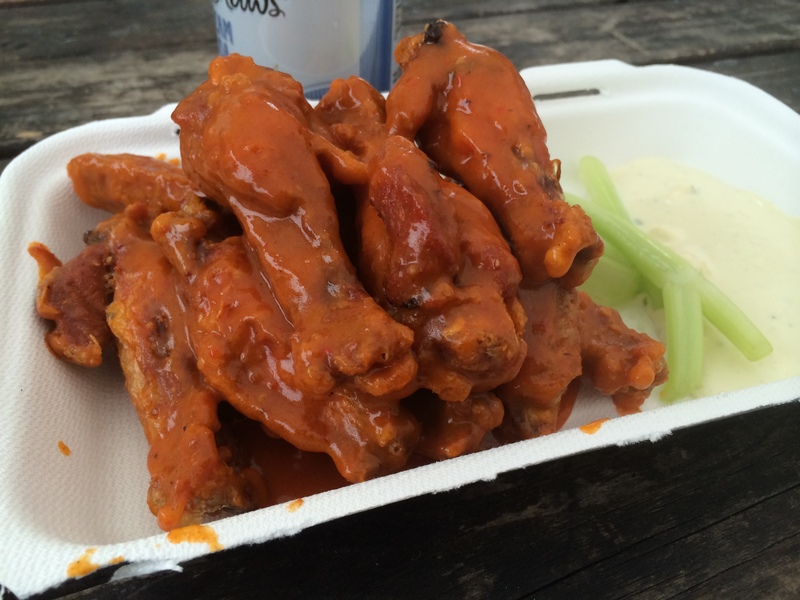 You get 8 wings with the choice of sauce plus home made blue cheese dip and celery all for £6. The wings are all free-range chicken, already pre-cooked and re fried then smothered in the choice of sauce. I opted for the original, a bright orange thick sauce that had tangy and slight kick of chilli. 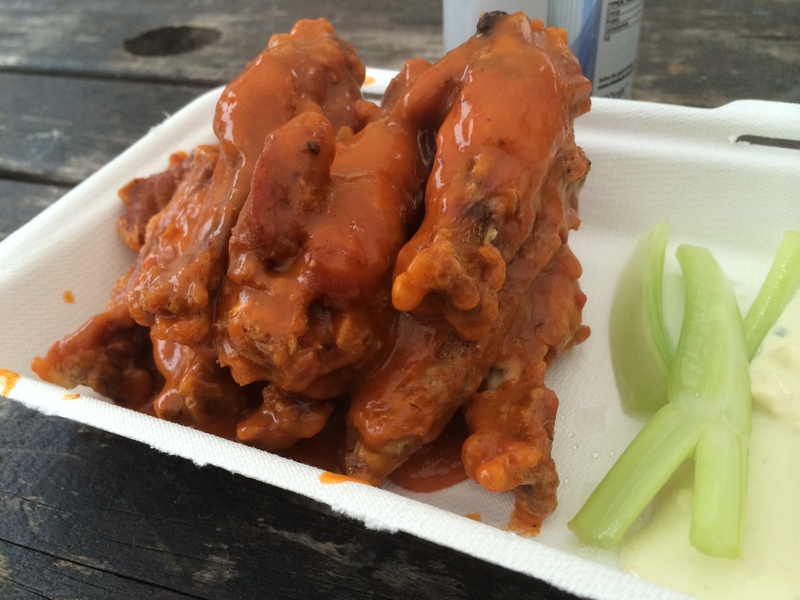 The wings was absolutely delicious, huge, crispy, my fingers stained from the sauce and lingered from the smell. The home made blue cheese was also beautiful, mild with a creamy sour cream flavour. I urged you to give them a go!